Since everyday is Father’s Day, this follow-up to the brief Father’s day tribute for my soon to be 94 year-old father is timely. I speak of my father, the help-mate of my mother, the strict disciplinarian, the lover of knowledge, an excellent provider for his family, the effortless motivator and the ultimate educator. I have a vivid recollection of people coming to the house to officially express their gratitude to him and my mother for providing tuition assistance for their children. Young as I was then, I was able to pick up on the importance of education to my parents. It was my father, Papa, who taught me by example, what to expect from a father of my children if I was to ever bring children into this world. 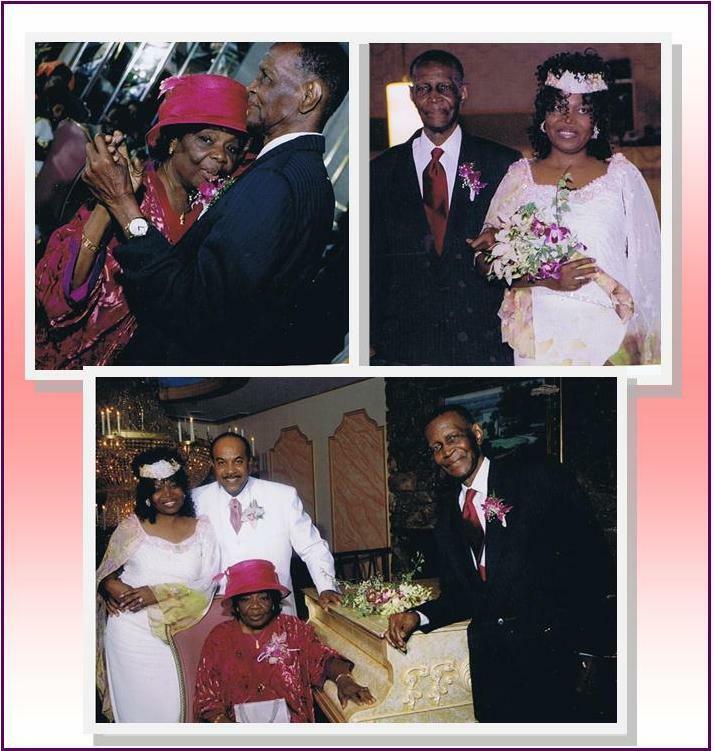 I thank him for showing me that it is indeed possible to take care of business, address the needs of others to the extent that I can, and join forces with my spouse to provide the priceless ‘home-training’ AKA ‘a parent’s legacy in the making’ for our children. I remember the pride he exuded as he walked me down the aisle on my wedding day. Somehow he had to have known I had it right this time! He knew he was not loosing a daughter, but gaining a devoted son and Dad for his grand children. Yes, I must add that my Papa is wise and perceptive! He was on target. If you read my mother’s day tribute to my mother, you would have noticed that I could not leave my father out of it for the same reason that Mama will be highlighted here. They worked as a team to parent us. It did not matter that my father was frequently out of town taking care of things educational around the world, his presence was always felt at home – whether it was during the ‘wait ’till your father gets home’ moment or when I missed being secretly ‘rewarded’ with a tip after waiting on him at the table on evenings when he worked late. I later found out that everyone who waited on Papa under that circumstance, got a ‘secret reward’. How cool was that! I remember Papa’s parting words to me when he and Mama left home to attend my sister’s wedding in England. I know I could not have done justice to the pride and feeling of ‘specialness’ on that day when he told me to call him in England and let him know if any boy tried to “fool around with me.” Yes, in those days, the term fool around had a negative connotation meaning “take advantage of me” which I have chosen to keep that way to date. He left me feeling as protected and cared for as I would have felt if he had stayed home. Yes, it is true that he kept up with the happenings of the youth in and around the community so that he could properly care for his own. A lesson I learned well. I could not wait, on the odd occasion that I stayed home from school as a result of illness, for my father to come home. His ‘ritual’ included making his first stop, the ‘sick room’ where he would gently rest the palm of his hand on my forehead to see if I was running a temperature. That made me feel special even though I was fully aware of the fact that my younger brother received the same treatment when it was his turn. My father, affectionately dubbed ‘Activity Cole’, did his share of community service in his hey days. His activities included, assuming a paramount role in the building of the Waterloo village community center, spearheading a facilities remodeling project for the Saint Michael and All Angels Church, and co-founding a pre-primary school with my mother upon retirement from Fourah Bay College, the University of Sierra Leone. With every passing day, I become, more appreciative of the parents I did not get to choose. I stop to take inventory of all the good they poured into me, the sacrifices they made for me, the fact that they were not “so loving” that they could not discipline me and let me know when I was wrong regardless of whether I approved of their methods or not. As long as I live, I will position myself to honor them by taking steps towards self-improvement and service to my “fellow man” (human). That is the very least I can do to ‘pay it forward’! By the way, if I sound too self-righteous, blame it on my kids – for I fully appreciate and understand Mama and Papa now that I am a parent myself.